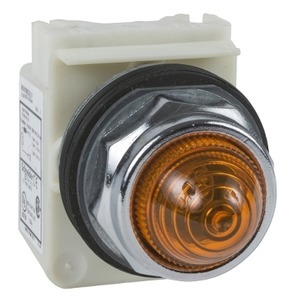 This Schneider Electric Harmony 9001K amber pilot light with integral LED and plastic dome is supplied with 110Vac/dc. It fits in a 30mm hole. It has a chromium-plated metal bezel.